Assessing young readers involves more than determining a reading level and moving them onto the next. 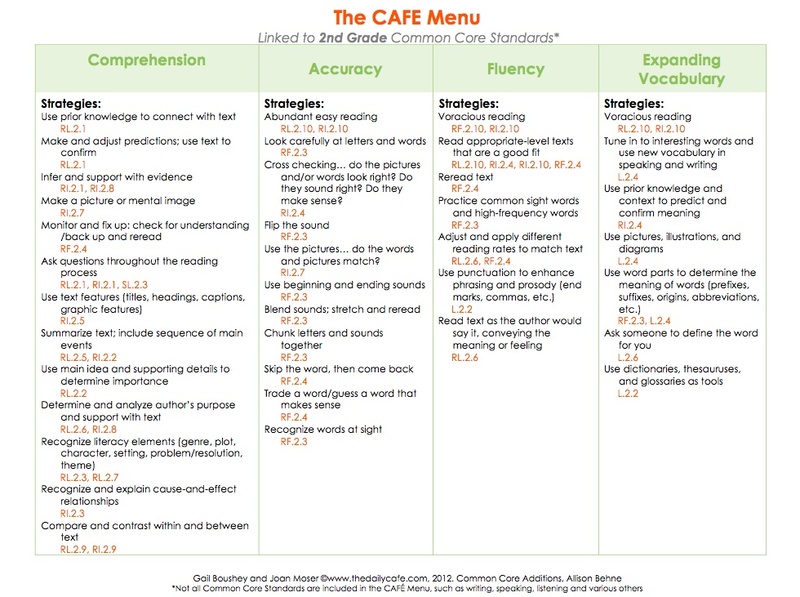 The CAFE Menu is used to help students understand and master different strategies used by successful readers. CAFE is an acronym for Comprehension, Accuracy, Fluency, and Expanding Vocabulary, and the system includes goal-setting with students in individual conferences, posting of goals on a whole-class board, developing small group instruction based on clusters of students with similar goals, and targeting whole-class instruction based on emerging student needs and fine tuning one on one conferring. 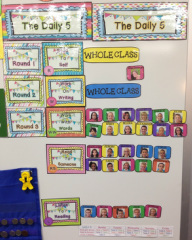 The Daily 5 is more than a management system or a curriculum framework - it is a structure that helps students develop the daily habits of reading, writing, and working independently that will lead to a lifetime of literacy independence. 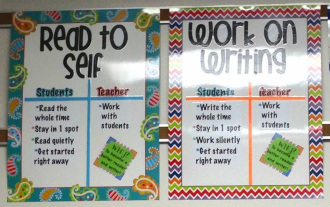 During reader's workshop while I pull back two groups a day, the remaining students work on their Daily 5. Children reading to themselves is the first step in Daily 5 and is the foundation for creating independent readers and writers. 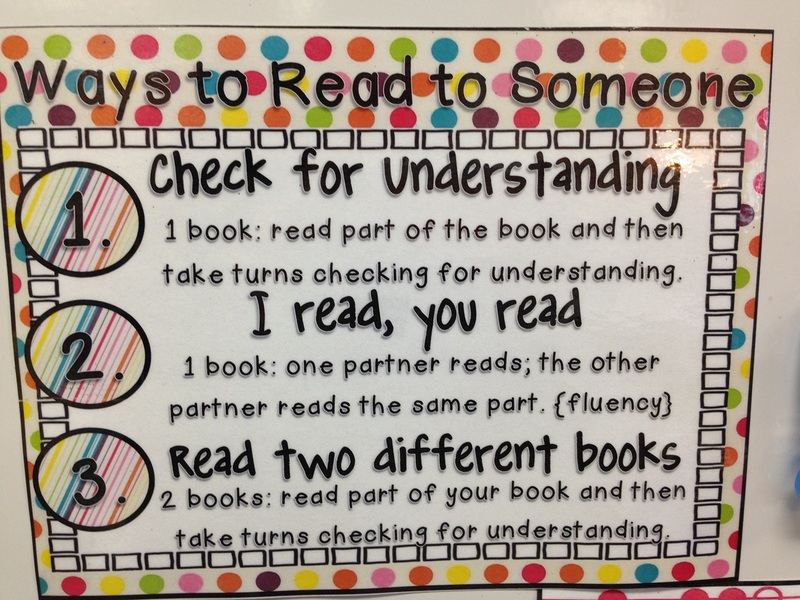 On the surface, like all of the components in Daily 5, Read to Self seems basic and simple. However, specific teaching techniques can make Read to Self a powerful tool for enhancing all literacy skills. 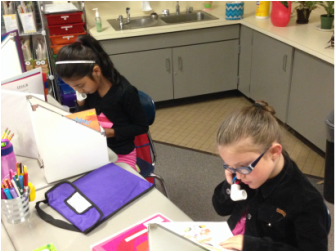 Students use whisper phones to build fluency while reading independently. 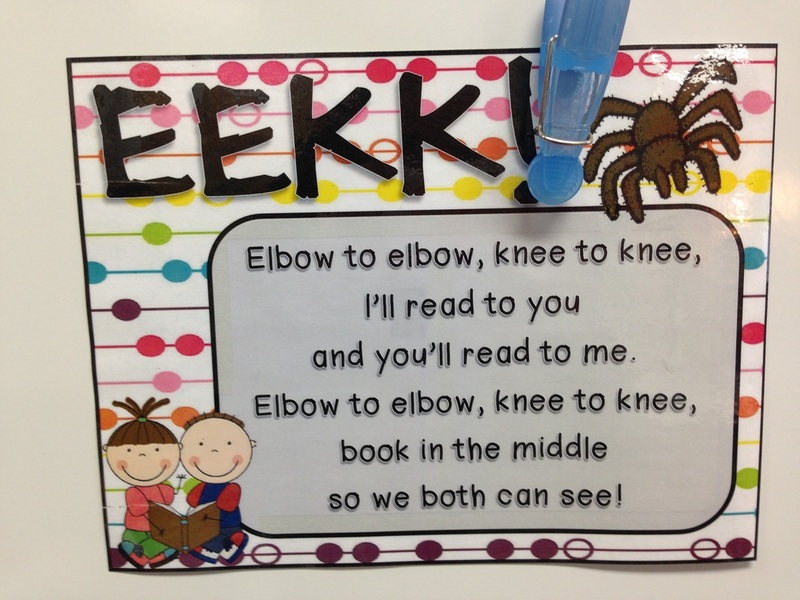 This will help them become stronger readers during Read to Self. 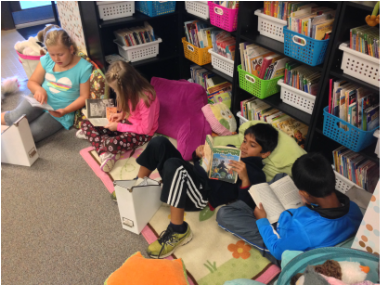 Reading with someone helps all readers, especially developing readers, become more self-sufficient and less reliant on the teacher for assistance. 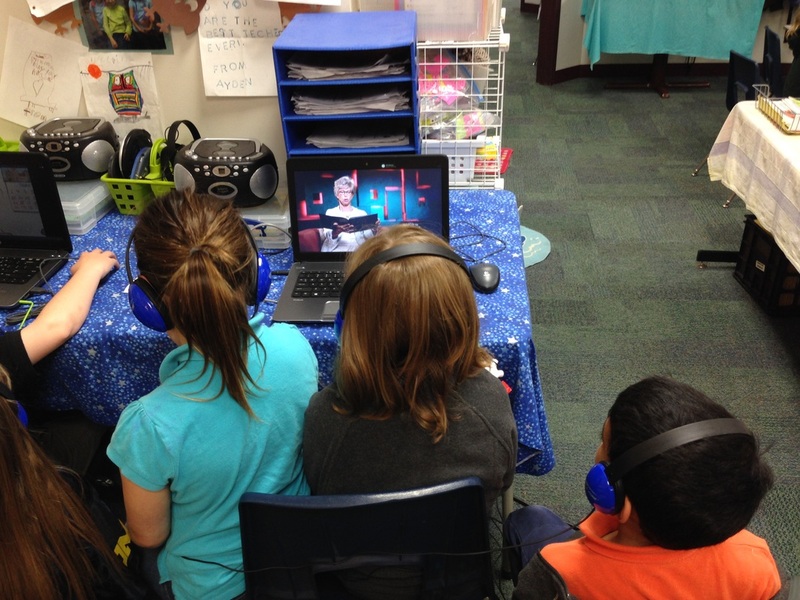 Taking turns while reading increases reading involvement, attention, and collaboration. 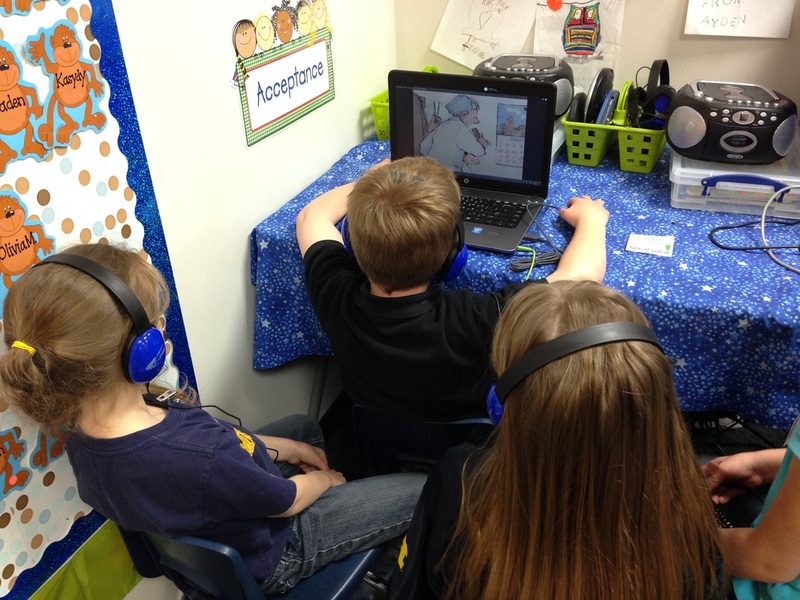 Although it can be noisy at times, students are engaged. Our rotation list for Daily 5 during reader's workshop. The writing component of the Daily 5 provides additional support children require to become effective writers. Its purpose is to provide daily writing practice. 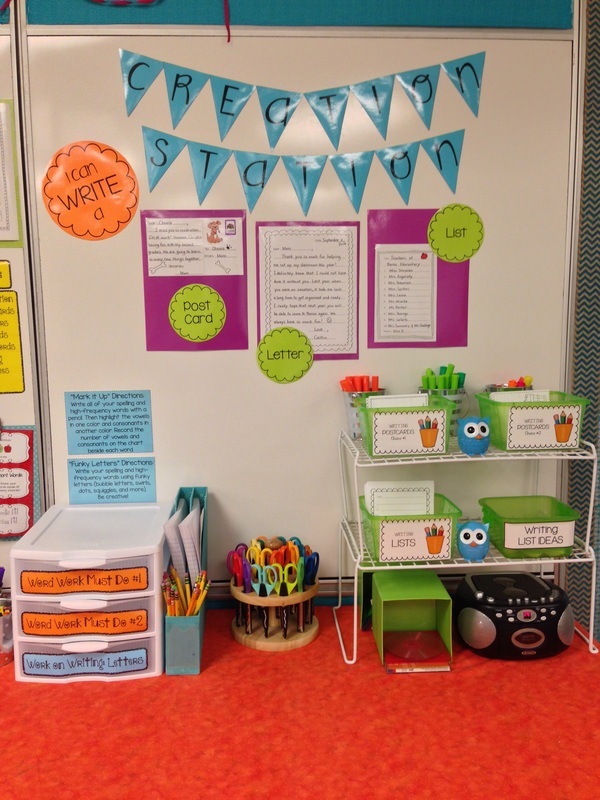 During this rotation students typically work on writing of their choice. 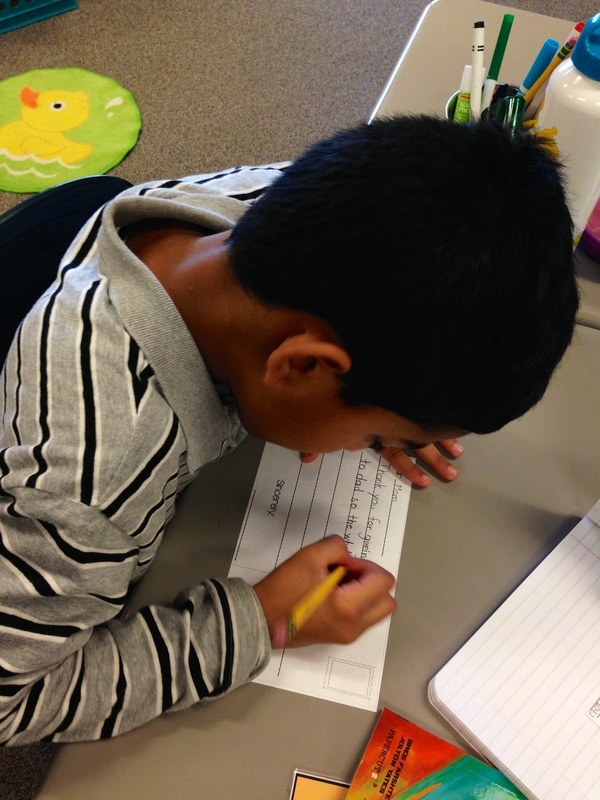 Many times students continue a piece they are working on in writer's workshop. Word study takes up a portion of each literacy block because creating and maintaining a time during each literacy block to focus on words is critical to developing readers, writers and communicators. 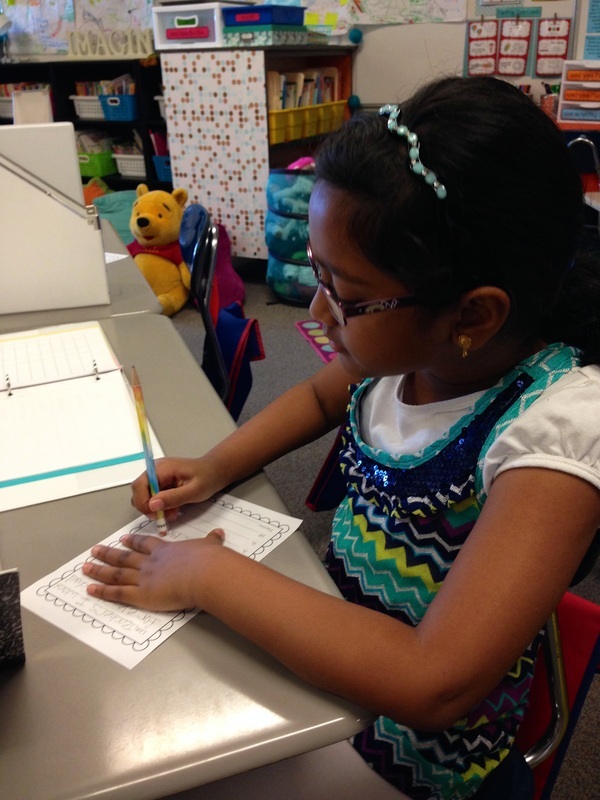 During Word Work, we focus on spelling and vocabulary work with students. Listen to Reading is valuable for developing fluency and vocabulary. 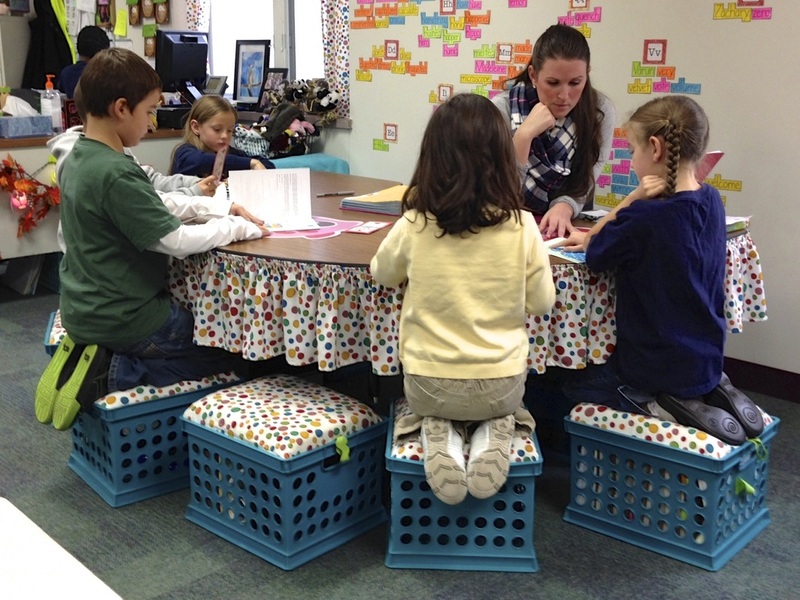 Students listen to reading once a week on their assigned day with their table. 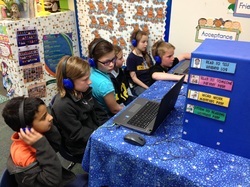 Students can use the CD players to listen to me read to them or they may use our new laptops to visit Storyline Online to watch and listen to someone read to them. 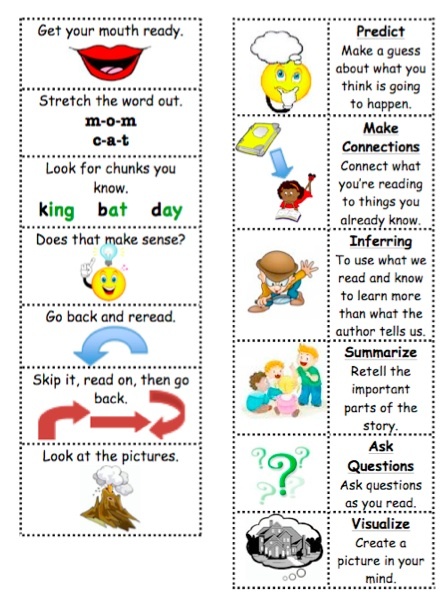 Students use these reading comprehension and decoding strategy bookmarks everyday while we read in our guided reading groups. 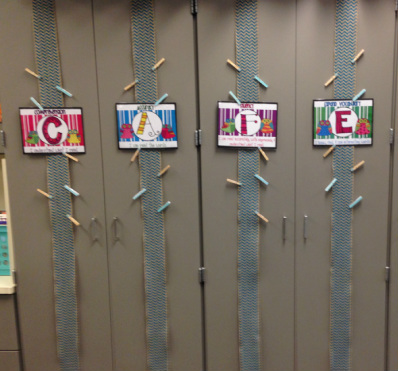 We have had our bookmarks since the beginning of the year to help us with not only decoding but also comprehension. Students also have a copy of these in their Book Bags that they take home on a nightly basis. 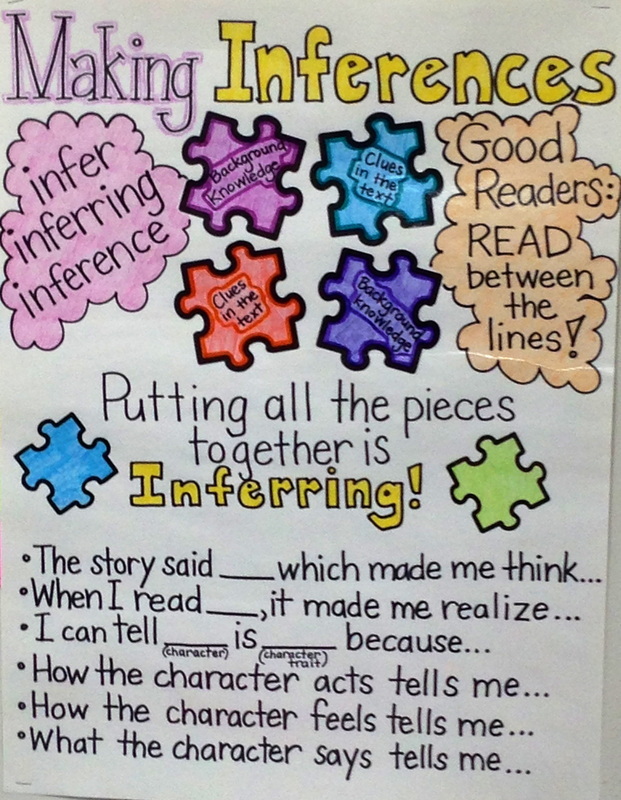 In our guided reading groups we worked on making inferences, or "reading between the lines." The kids really liked when I would ask them, "What's between the lines?" They would respond, "NOTHING! You have to INFER it!" 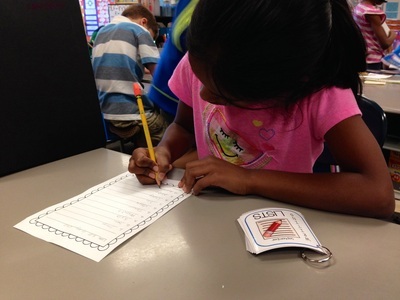 We have worked on making inferences throughout the year in second grade. 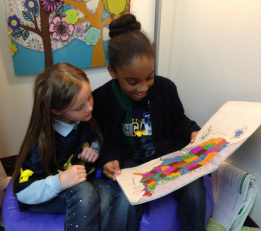 We make sure that when we pick books to read during Read to Self or Read to Someone time that we read GOOD FIT books. These books should be at our JUST RIGHT level. 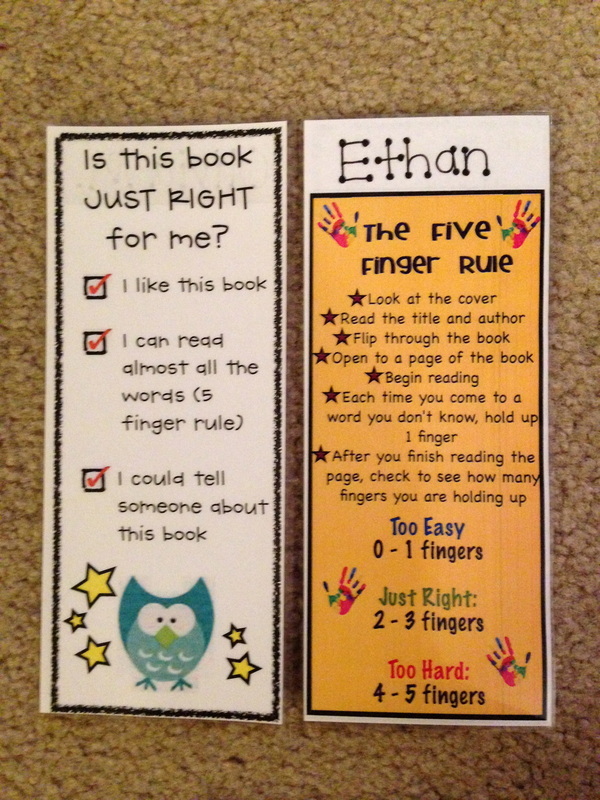 We use the 5-Finger rule to ensure we read books that fit us just like "Goldilocks and the Three Bears"! 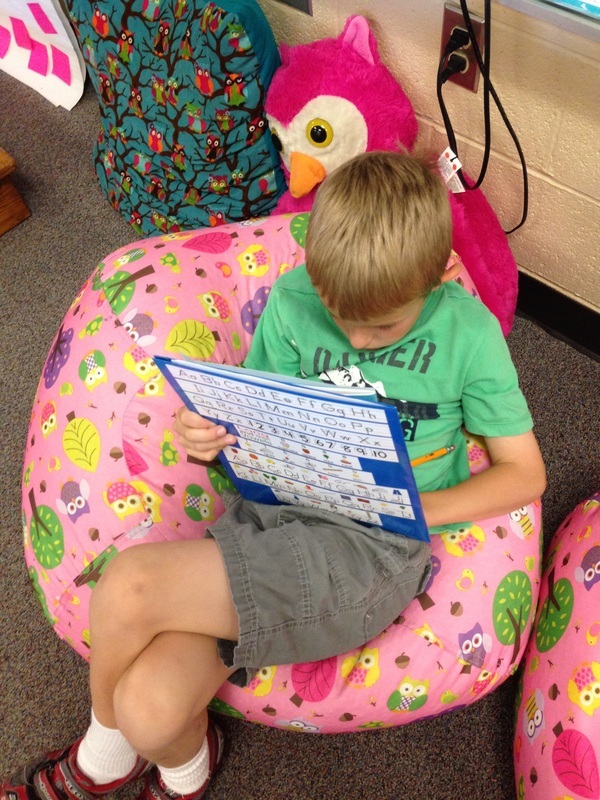 We have worked on reading with fluency for a large part of this year. In second grade it is extremely important not only to decode the text, but to move beyond this concept. We read "good fit" books so that students do not focus on decoding, but can focus on reading with fluency. 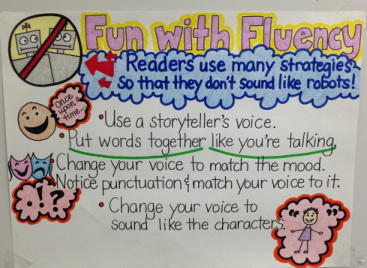 This means using a storyteller's voice, putting words together like they're talking, changing their voices to match the mood, noticing punctuation and matching their voices to it, and changing their voices to sound like characters. Students have this bookmark in their red workshop folders.